To the great one who elucidates the Kagyu teachings, HH Drikung Chetsang Rinpoche, who has kindly consented to be present at this ceremony commemorating the 16th Gyalwang Karmapa, I would like to offer my respectful welcome and warm greetings. Likewise, to all the guests who have come, led by Khyabje Jamgon Kongtrul Rinpoche and Khyabje Goshir Gyaltsap Rinpoche and including all the reincarnate lamas, learned khenpos, members of the Sangha, and those who have come from afar for this special occasion, I’d like to offer a warm welcome and tashi delek. As we are commemorating the incomparable protector who has been greatly kind to us, the sovereign of the family and of an ocean of mandalas, the great Vajradhara, Gyalwai Wangpo, the 16th in the line of the Karmapas’ incarnations, Palden Rangjung Rigpe Yeshe Lungtok Chokyi Nyima Trinle Donkun Drupai De Palzangpo, I would like to offer an explanation of the Jiang, or Litang, Kangyur which we have reprinted. It was originally published by the Dharma King of Jiang (or Satam) Muk Tsang whose Dharma name was Karma Mipham Sonam Rabten, given to him by Gyalwai Wangpo Vajra Shri. This Jiang Kangyur is the very first woodblock edition of the words of the Buddha that was printed in a Tibetan region and so it has an immense historical significance as well as its own inherent value. Eventually, the woodblocks for the Jiang Kangyur were brought to Litang (hence the alternate name) where they remained, but these days only a few of original woodblocks remain. Further, there are just two or three printed copies of the Jiang Kangyur remaining in the world today. 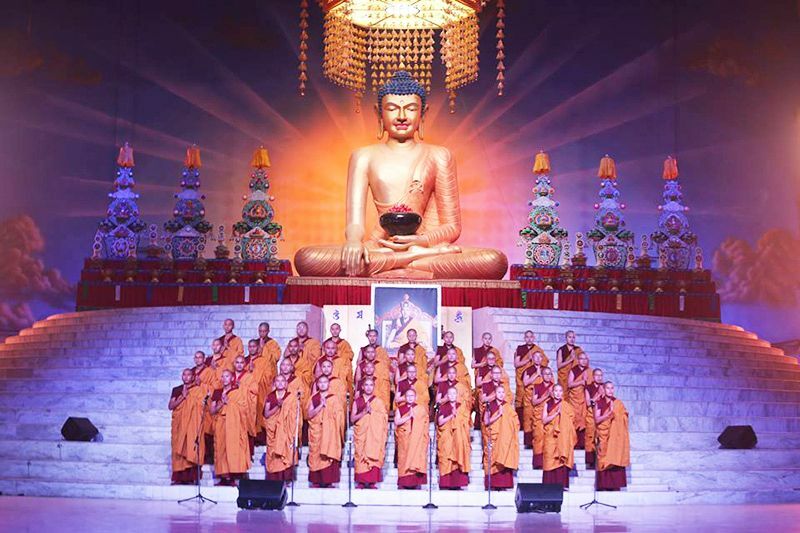 So in order to restore and revive the teachings of the Buddha, we have had the meritorious opportunity to use modern technology in preserving the Kangyur, the precious words of the Buddha. On behalf of myself and all the workers, I would like to say that I have boundless joy, happiness, and satisfaction that we have been able to complete this project. It was a considerable undertaking that involved great expense as well. A large number of people have worked on it and given support, and though there are too many to name, I would like to take this opportunity to offer them my greatest appreciation and warm greetings on this special occasion. Generally, the kings of the Jiang dynasty had an excellent Dharma connection with the Gyalwang Karmapas. The fifth king Muk Ching had great faith and devotion for the 7th Karmapa Chodrak Gyatso (1454–1506), and made great offerings to him. The seventh king Muk Ting invited the 8th Karmapa Mikyo Dorje (1507–1554) to Jiang, making offerings to him and showing him great respect. 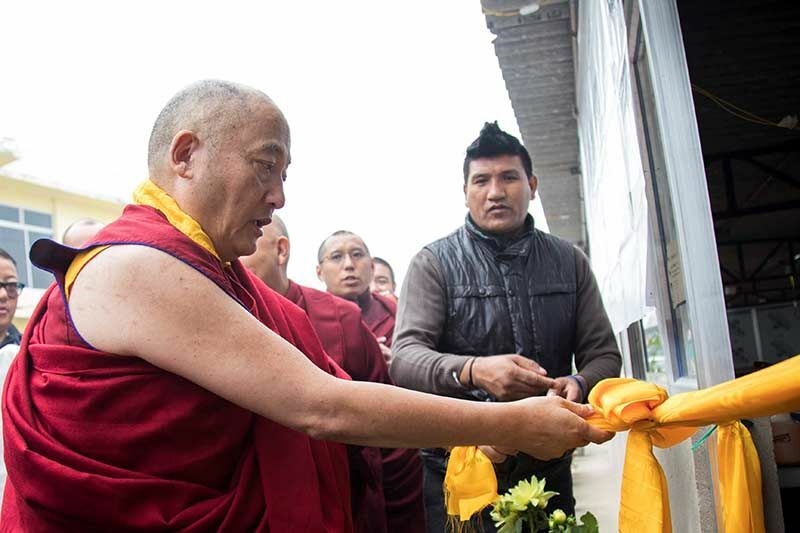 Following the intention of the 8th Karmapa, the king did not wage war against Tibet and also promised to send yearly offerings to Central Tibet. During the reign of Muk Tsang, the 13th king of the Jiang dynasty, the kingdom had spread widely and was prosperous; from Litang in northern area of Kham to Chamdo in the west, a large sweep of territory came under his power. Further, Mu Zeng was very skilled in grammar and poetry and had a deep appreciation of the Dharma as well. It was during the reign of this highly accomplished king that the Jiang Kangyur was published and then transmitted. In Describing the Sources of the Kangyur by Garwang Thamche Khyenpa Chokyi Wangchuk, we find the explanation that the original [handwritten] manuscript that served as a basis for the Jiang Kangyur was “the best among the later editions. It was given its name based on the time period and its owner and known as the Tsalpa Kangyur. The masters and scholars who edited, annotated, and corrected it, included Zhonu Tsul Shakyai Gyaltsen, one or two in the succession of the Gyalwang Karmapas, Thamche Khyenpa Chenga Chokyi Drakpa, and Go Lotsawa. In Tibet these days, it is the peerless jewel.” The text also states that the Chinese emperor Ching Ngam Tatsi made offerings to the Tibetan regent. To benefit living beings, the emperor invited the Great Bodhisattva [Gyalwang Karmapa] and, treating him like a chief minister, the emperor called together a meeting of his great ministers. The emperor had the inclination to be satisfied, and without making a great effort, he felt that he had swiftly accomplished a great purpose. This original hand-written manuscript of the Kangyur was the only one of its kind in Tibet at that time and considered the best among all manuscripts. Famous as the Tsalpa Kangyur, it was named after its time and its owner. This Kangyur was edited and annotated by many great scholars, including Zhonu Tsultrim Shakyai Gyaltsen and previous incarnations of the Karmapas and Shamar Rinpoches, so it was renowned in Tibet as the incomparable Tsalpa Kangyur. This new printing of the Jiang Kangyur was based on this Tsalpa manuscript. Later, when the great scholar, the all-knowing 8th Situ Chokyi Jungne, was preparing to print the Dege Kangyur, he referred mostly to the Jiang Kangyur, though he did change the order and edit it. In general, the words of the Buddha (Kangyur) and the translated treatises (Tengyur) spread widely in the areas of Tibetan culture, and this is due to the special activities of the Karmapas and the Shamar Rinpoches. For example, in the entire world, the first Tibetan edition of the words of the Buddha was produced during the time of the Ming Emperor Yongle (1360–1424) so it is known as the Yongle Kangyur. The 5th Karmapa Deshin Shekpa (1384–1415) had a special connection with this text and edited it. 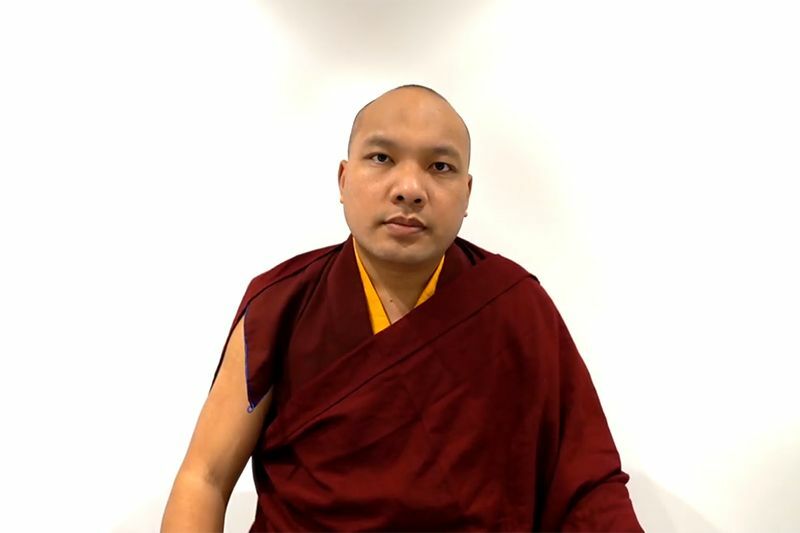 In these accounts, we can see clearly how the Karmapa and their heart sons offered their support and service to publishing the words of the Buddha. At the time of the 3rd Karmapa Rangjung Dorje (1284–1339), Tsalpa Drungchen Monlam Dorje had a relationship of priest and patron with the Mongolian Emperor asked him for support [to publish a Tengyur] so the emperor gave to Tsalpa Situ the seal of a Situ and also gifts. 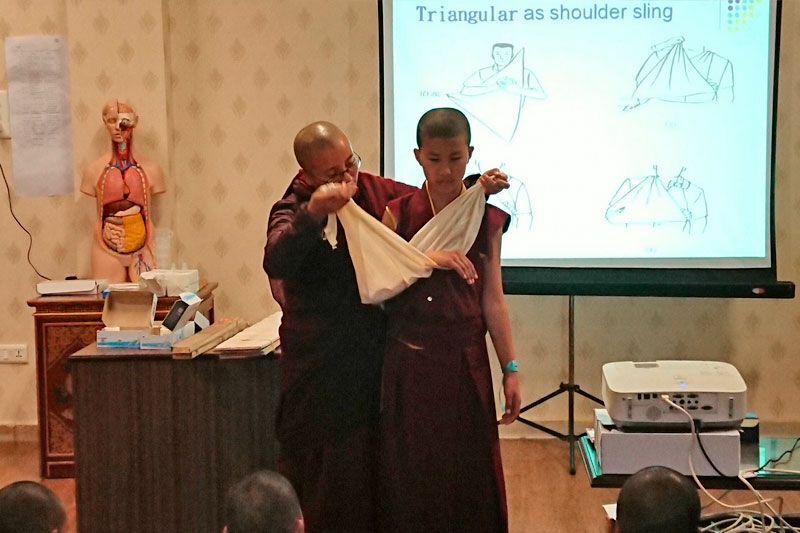 Likewise, Tsalpa Situ asked [the 3rd Karmapa Rangjung Dorje] for advice on how to arrange and print the Tengyur. There are the records that can be found. Whether this Tengyur is the Tsalpa Tengyur or the Thukdam Tengyur of the 3rd Karmapa Rangjung Dorje is not very clear. What we know is that there was definitely a relationship between Tsalpa Drungchen Monlam Dorje and the 3rd Karmapa. You might ask “What is the connection between the release of the Jiang Kangyur and today’s commemoration of the 16th Karmapa Rangjung Rigpe Dorje?” Especially, during the ten years of the Cultural Revolution, the Tibet’s political situation underwent tremendous change, and Tibet also experienced great destruction of its cultural resources and religious texts. The 16th Karmapa Rigpe Dorje had the vast aspiration and deep resolve to restore the teachings of the Buddha from their foundation. His extraordinary activity made it possible to print 500 copies of the vermillion Dege Kangyur in Delhi from 1976 to 1979, and further, he opened wide the gates of generosity and distributed the Kangyur to the monasteries and libraries of all Buddhist traditions without the slightest bias. 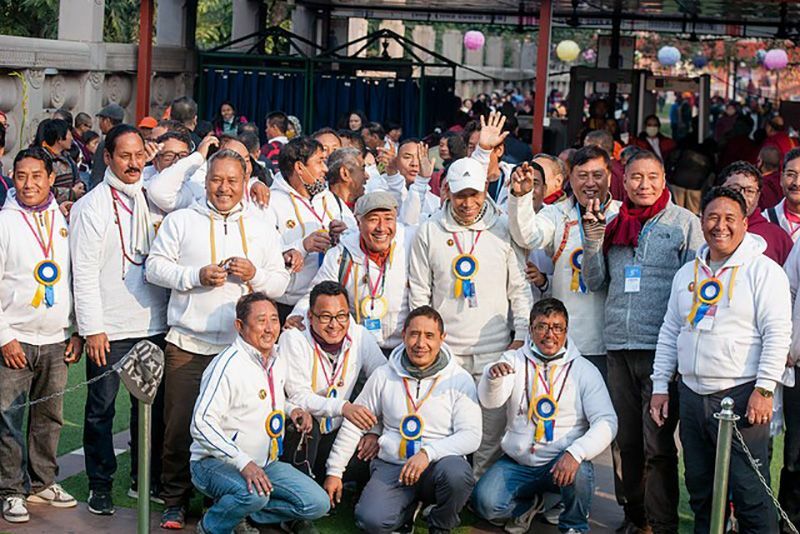 At end of 1981, the 16th Karmapa also began the reprinting of the Tengyur, which was continued and completed by his General Secretary Damcho Yongdu. On this occasion when we are commemorating the activities of the 16th Karmapa, we decided to also unveil this precious Jiang Kangyur. As we have just seen, there are numerous connections between the Karmapas and the printings of the Kangyur and Tengyur so it is most appropriate to combine these two events here today at our celebration. Whatever virtue comes from reprinting this edition of the Jiang Kangyur, I would like to dedicate so that the teachings of the Buddha in general may spread to the far corners of the earth, and the one who is like the eyes and the heart of the Tibetan people, H.H. the Dalai Lama, may live for a very long time and see his activity flourish. May the great beings of all the lineages live long and may their activities spread, and in particular, may the great masters of our Dakpo Kagyu lineage, the supreme Kyabgon Chetsang Rinpoche along with other masters have long lives and increasing activity. May the Sangha be harmonious, maintain pure discipline, and see its engagement in the ten Dharma activities surpass the limits of time. In this world, may the adversity of war, famine, and other conditions that create suffering disappear and joy and well-being prevail. May everyone give their sincere and sustained support to these aspirations.